Get a full year's subscription to ABCmouse at an amazing 62% off! Filled with tons of fun and engaging activities and games, ABCmouse is the number 1* online learning program for kids ages 2-8 that embeds the concept of gamification to educational topics like math, science, languages and even art to make them even more entertaining to learn. Learning via ABCmouse will help nurture your child's interest to learn, allowing them to find joy in otherwise potentially-dull subjects. ABCmouse is not only available on PC; your child can also learn as they are traveling on long boring trips with the wide range of free ABCmouse apps (a subscription is needed to log in). 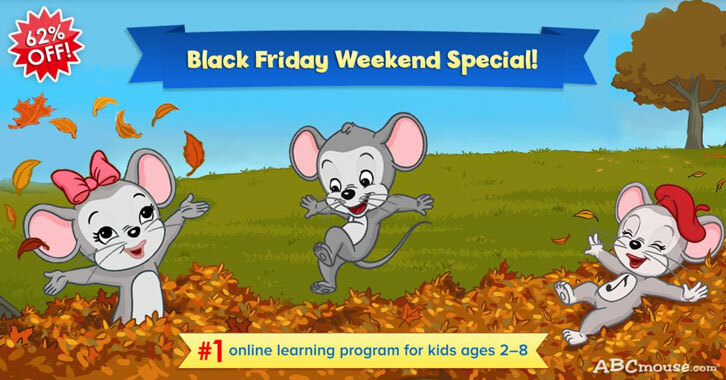 So, if ABCmouse sounds like a learning program that your child may need, you'll be happy to know that you can get a full year's subscription for ABCmouse at a whopping 62% off, making the annual subscription to cost only $45! However, you'll need to be fast! This offer is only valid from Nov 19 to Nov 26.